​Vine was founded in 2004 working with clients in the Technology, Media and Telecoms industry. The recruitment market has changed dramatically since those days and in particular with the advance of technology and social media changes and with clients and candidates behaving like consumers. They want to build an environment where people work well together, want to succeed and are happy in what they do. Vine Resources is a great company with talented people who work together to achieve great things! It has truly been a pleasure collaborating with them on this project and we look forward to continuing this relationship into the future. The whole project has been a fine example of collaboration and mutual respect. 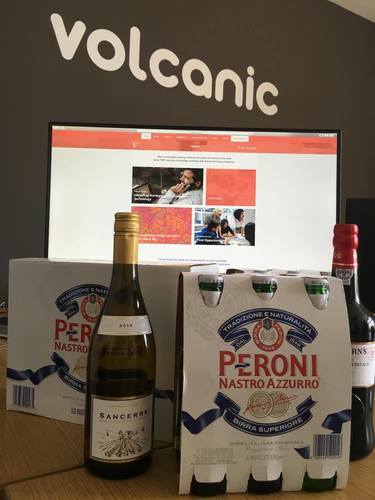 To mark the launch of their fantastic new site, the guys at Vine Resources sent the Volcanic team some beers and wine to celebrate!